So you’re wondering what things to do or where to go in South Wales? Looking for what to do with the kids, or your granny, or maybe just need some fresh ideas for yourself? You may also want to look at my South Wales Top 10 lists for some other ideas. 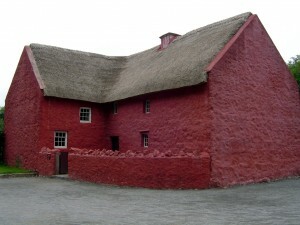 Visit the National History Museum at St. Fagans near Cardiff. Visit the Cardiff Bay Barrage and wonder at the optical illusion. Visit Cardiff Castle and have a tour. You’ll be amazed! Walk your dog around the quiet lanes of the Vale of Glamorgan. Go to a beach in the Gower. Visit the neolithic burial chamber at Tinkinswood. Visit Follyfarm. Great for the kids. Have a great day out at Oakwood Theme Park. Big rides and lots to do for the little ones as well. Visit Tenby. Lots of beaches. A great little harbour. Nice sea-side shops. Lots of attractions. Window shop, or even buy, in Cowbridge and end up for afternoon tea in the Bear Hotel. Go and see the Red Kites in Kite Country. Visit Gigrin Farm where you can see the Kites being fed. Visit the Penderyn Distillery Visitor Centre near Hirwaun. Visit “BlueBell Valley” near St Brides Major in May. Spend an hour or two exploring Plantasia in Swansea. Great for when it’s raining or when it’s cold. Visit Tintern Abbey and the Wye Valley. Explore Kidwelly Castle – one of the most complete castles in South Wales. Visit the Boulders Climbing Centre in Cardiff. Take a walk around Oystermouth Castle in the Mumbles near Swansea and have a meal in P.A’s or Patricks afterwards. Visit the really impressive Roman amphitheatre and other Roman sites at Caerleon, near Newport. Go to Rest Bay in Porthcawl, a really nice sandy beach when the tide is out.